Barcelona have officially announced that an agreement is in place for Jean-Clair Todibo to join the club on a free transfer this summer. The 19-year-old will see his current contract with Toulouse expire at the end of the season, and speculation has been rife over his future for weeks. As per Barcelona’s statement, it has now been confirmed that he will join the reigning Spanish champions as they seemingly appear to be adopting a long-term strategy in the transfer market. 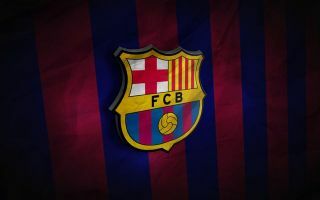 Having added the likes of Arthur, Clement Lenglet and Ousmane Dembele in recent transfer windows, Barca are building a younger nucleus of players, potentially capable of sustaining their success beyond the current window that club stalwarts such as Gerard Pique and Sergio Busquets offer them. Coupled with the fact that Todibo has impressed this season in his 10 appearances for Toulouse before being frozen out of the starting line-up due to the question marks over his future, he looks as though he could develop and improve into a top player in the future. The defence is certainly an area in which Barcelona had to improve too, having conceded 20 goals in their 18 league games so far this season, which gives them the worst defensive record of the top four sides in the table. Samuel Umtiti’s ongoing injury woes haven’t helped, while Pique turns 32 next month. In turn, added quality and depth in the heart of the backline was needed, and it appears as though Todibo will get an opportunity to prove that he can be a trusted long-term solution from this summer onwards with the club clearly having faith in his ability.